Python might be her favorite language, but Karen Stolzenberg speaks up when it comes to inclusion in tech. 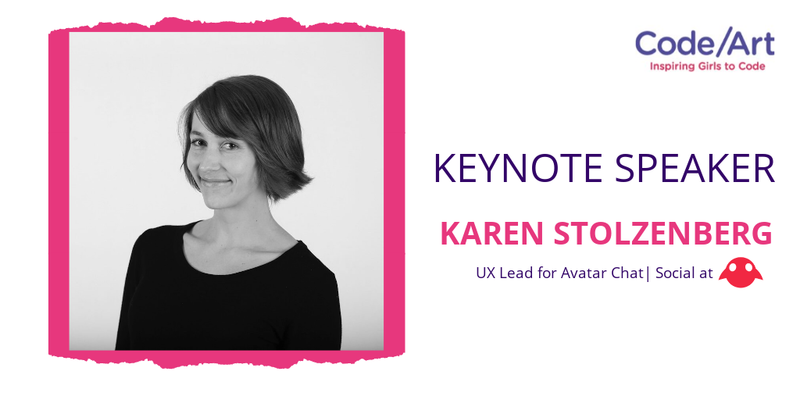 Karen designs experiences for the virtual and the real at Magic Leap and leads UX for Avatar Chat and Social. An architect by training, Karen works at the intersection of technology, craft and culture. 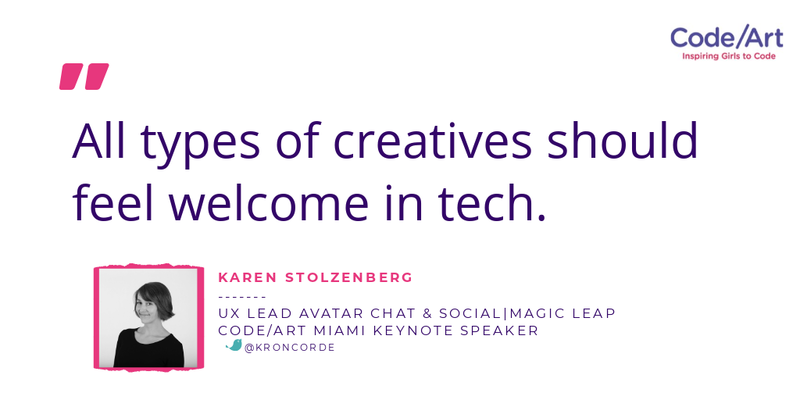 We are beyond excited to announce our new Keynote for today’s Code/Art Miami 2019…UX Lead for Avatar Chat and Social at @MagicLeap, Karen Stolzenberg. Karen is a University of Minnesota alum and studied at the Harvard Graduate School of Design. Karen will be joining us on stage at 3:00PM | Sunday, March 3, 2019. How did you begin working in tech? I became interested in tech through creative friends, and then started making my own side projects. Side projects led to shifting interests in graduate school. From school, I sought out research opportunities and design jobs in tech. Why is a program like Code/Art Miami important to you? I am excited to welcome others into this creative community! What was your favorite class when you were in elementary school? Learn more about our community based coding throughout the Miami area, here.